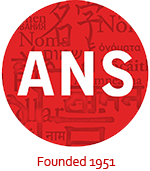 The American Name Society is inviting abstract proposals for a panel with the literary theme “Literary Wordplay with Names.” Case studies in world literature have repeatedly demonstrated the effectiveness of wordplays in producing puns or highlighting aspects of a narrative. However, comparatively little scholarly attention has been given to examining the names themselves as a rhetorical tool for literary wordplay. Interested authors are encouraged to submit an abstract examining the use of any type of name (e.g., personal names, place names, trade names, etc.) in literary wordplays for any period or genre of literature. Submissions utilizing interdisciplinary approaches are most welcome. Proposals should include “MLA proposal” in the subject line of the email. All submissions must include an abstract title, the full name(s) of the author(s), the author affiliation, and email address in the body of the email and NOT with the abstract. Proposals must be received by 5pm GMT on 11 March 2017. Authors will be notified about results of the blind review on or by 20 March 2017. Contributors selected for the thematic panel must be members of both MLA and ANS in order to present their papers. For further information, please contact Andreas Gavrielatos (a.gavrielatos@ed.ac.uk). 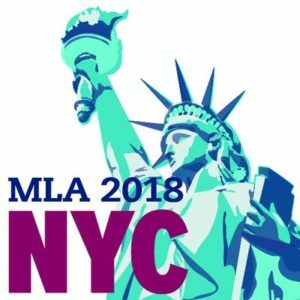 More information about ANS and MLA conferences in available on the Conferences page of this website.